Olivia Taylor Morrow–a strong, smart, principled woman. She believed a person's worth was in their character. Her life was lived honorably; she took care of her children and her extended family, she was loyal, faithful and honest. Olivia's nursing background was a help to everyone. Olivia will be remembered for her 30 years with the Greenville Hospital System, her wonderful sense of humor, her sewing abilities, her love of reading, working puzzles, Scrabble, her cooking, her problem solving and always wanting the best for her family. Olivia was born in Otto, North Carolina, was the daughter of the late Fred Taylor, of Franklin, North Carolina, and Lydia Davidson Taylor, of Greenville, South Carolina. Olivia has four children: Leon Morrow (Yvette), of High Point, North Carolina; Larry Morrow (Pat), of Greer; Mildred "Fred" Campbell (David), of Greer; and Margaret "Maggie" Schmidler (Martin), of Smyrna, Georgia; and a special part of the family, Jane Morrow, of Weaverville, North Carolina. 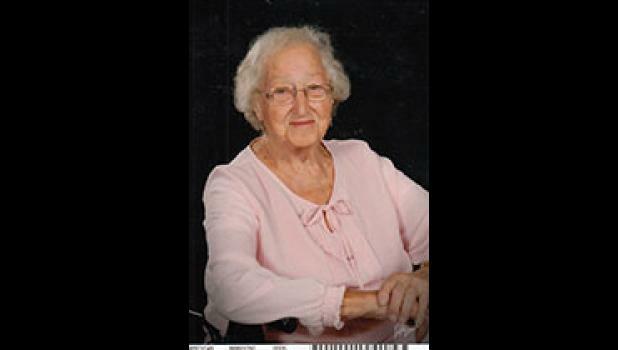 She has seven grandchildren, 16 great-grandchildren, and one great-great grandchild. Olivia also has a sister, Edith Chou, and brothers, Charles Taylor (deceased) and Bruce Taylor. Olivia passed away on February 18 and was buried at Mountain Grove Baptist Church in Franklin, North Carolina. A graveside service was held at 11 a.m. on Wednesday, February 21. A drop‑in memorial service will be held Saturday, February 24, from 11:30 a.m.-2 p.m. at "The Davenport,” 230 Trade Street, Greer, SC 29651. In lieu of flowers, memorials may be sent to either: Mountain Grove Church, Mountain Grove Church Road, Franklin, NC 28734, or First Baptist Church of Greenville, 847 Cleveland Street, Greenville, SC 29601. Bryant-Grant Funeral Home and Crematory is serving the Morrow family.